And that, in a nutshell, is how ‘Fall Out Boy’s Evening Out With Your Girlfriend’ first came to be. So, why are we suddenly talking about the pseudo-debut album for Fall Out Boy? Because it came out 16 years ago today (25 March). Not quite the summer of 2001, but more like the spring of 2003. What a time to be alive. So on its 16th Birthday, I stand before you and say that it’s time we honoured ‘Fall Out Boy’s Evening Out With Your Girlfriend’ as it deserves. As the masterpiece it is. Let’s be honest, the album isn’t technically great. It sounds like it was recorded in a tin shed. But you can still hear the unbridled potential, and the seed of something big being planted in those hallowed recordings. The fact that it’s entirely rough around the edges, and sounds like it was recorded with a single microphone in the centre of the room adds to the absolute charm of it all. But in not being technically great, it makes up in having a whole lot of heart and soul. Arguably the most heart and soul of any Fall Out Boy album. It’s angry, it’s aggressive, it’s angsty, and it’s the perfect time capsule for the beginning of what is ostensibly one of the biggest bands in the world now. Take ‘Honorable Mention’ for example. It’s full to bursting with teen angst, because Patrick (who at this point was the lyricist for the band) was literally an angsty teen. 16 years ago today when this album came out Patrick wasn’t even old enough to celebrate the release with a glass of champagne, at the tender young age of only 18 years old. The earnest way he warbles “I could be your John Cusack” is the stuff that teenage dreams are made of. It's time we gave this album the props that it truly deserves. We need to stop calling 'Take This To Your Grave' Fall Out Boy's first album. 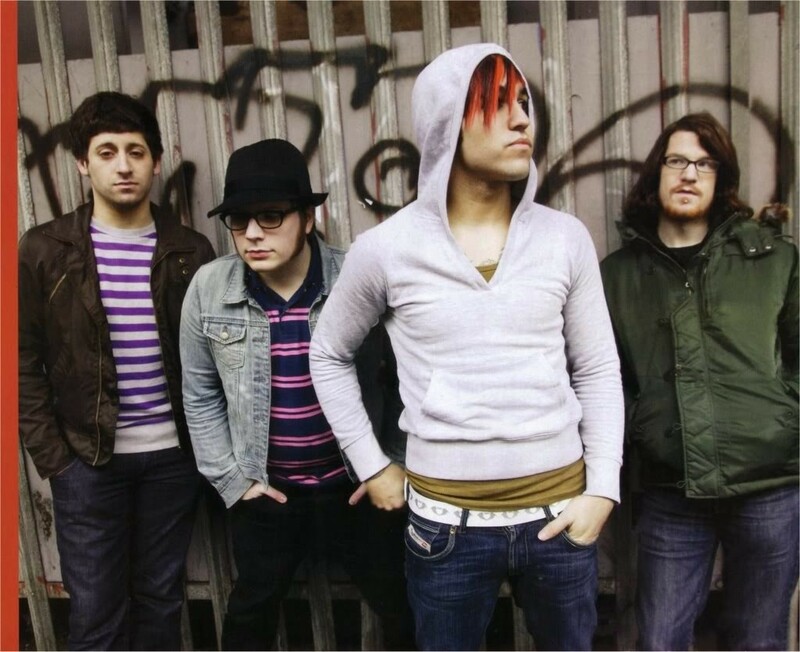 We need to honour the heritage of Fall Out Boy, and we need to honour where they came from. And honestly, the 'Evening Out With Your Girlfriend' version of 'Calm Before The Storm' slaps damn hard. In summary, 'Fall Out Boy's Evening Out With Your Girlfriend' is an important and culturally significant marker in the history of Fall Out Boy, but also in the history of modern pop-punk at large. And as such, it deserves respect. Preach it, Brendon. It’s real, and the name doesn’t matter. But it’s 'Evening Out With Your Girlfriend'. For the record.